We offer a wide variety of top quality services to fit your needs. 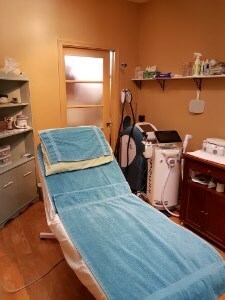 Our experienced staff will help you determine the best services for your needs and deliver the kind of quality and value you expect from a professional medical spa . Check out our complete service menu below to get a feel for what we do. Please note: Service prices and availability are subject to change without notice. Exceptional services to invigorate and restore the health and beauty of your hands, feet and nails. Relax and enjoy a refreshing manicure service to give your fingernails a professional, clean and tidy look. We will trim and shape your nails and apply a top-quality professional nail lacquer or polish in your choice of rich colors and glazes. We recommend you call (250)260-1500 or email beyondbeautymedi-spa@hotmail.com to schedule an appointment, however walk-ins are welcome.